This macro system is designed for large field of view applications. 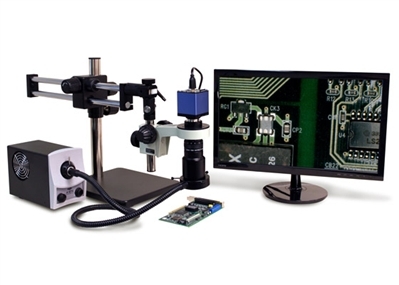 Ideal for quality assurance, biomedical imaging, or assembly applications where easy to view, sharp and true to life magnified image of your product can mean the difference between a shippable, top quality end product and a costly manufacturing failure. The macro lens has the most depth of field and field of view available from a video lens with all adjustments at your finger tips such as zoom, focus and iris control.